Virtual Trainer PRO will sync your burned calories to the new iOS8 Health App! • Virtual Trainer PRO is just like turning your iPhone into a Personal Trainer. All you need is to start a workout, follow the video instructions and try to keep up with the timer! 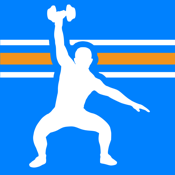 • Build your own workouts with a simple drag and drop interface. Choose from over 700 exercise videos with everything from bodyweight exercises you can do at home to advanced TRX and crossfit for the gym. • Choose from our hand picked featured and ready-to-use workouts by world renowned Personal Trainers. • Get social and variate your training by browsing tens of thousands of user created workouts. App is FREE to download! Within the app you have the option to become a monthly Premium user that will unlock all the features and content. We hope that you will have great use of our app and we gladly listen to your feedback at support@virtualtrainer.se. Information about Premium for Virtual Trainer Pro. If you want to succeed with your training you should get Premium! Unlock all the features by subscribing to Premium for 1, 3, or 12 months. The purchase will be charged from your iTunes account if you choose to buy the subscription to Premium. You can manage your subscription by entering the user settings in iTunes after the purchase. You will also be able to cancel the auto-renewing subscription from there. The subscription will be auto-renewed 24 hours before the subscription period ends with the same kind of subscription you already bought to the same price. It's not possible to abort the subscription during the time it's active.